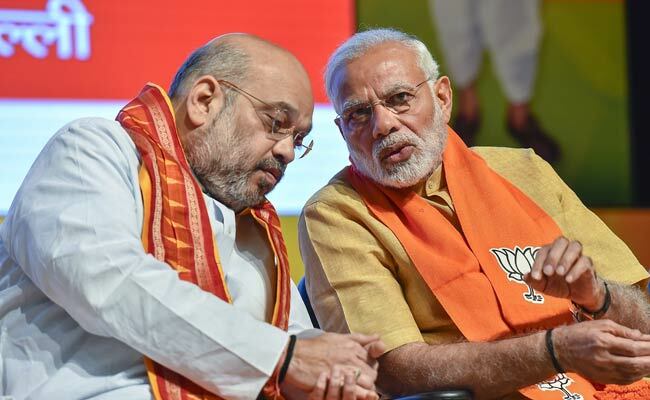 Narendra Modi and Amit Shah have proved that even the best and the most powerful can commit a big blunder: the attempt by them to foist a BJP government upon Karnataka.This day will go down in history as the turning point in the present scenario. When it was thought that the Modi-Shah juggernaut was unstoppable, the opposite happened. Now it is a proven fact that they can be stopped, can be defeated. The BJP was the single-largest party but short of majority. The Congress and JD(S) combined had the numbers, they should have been allowed to form the government. And now they will. The whole exercise has proved that Modi who gained moral stature in 2014 declaring that he was not like the "corrupt" Congress which would resort to anything to gain power has vanished. Goa, Manipur and Meghalaya were small states: away from blanket coverage on TV, the manipulation there did not register in the mind space of the people, but the entire Karnataka drama has been witnessed by the whole country and has exposed Modi thoroughly and put him at par with the Congress. The country has seen how the governor was "used" and how the effort was made to buy MLAs. People have heard audio clips in which even Yeddyurappa appeared to be luring MLAs into crossing over. (The BJP has described these tapes as fake). What this means is that the debate about whether a coalition government of the Congress and JD(S) will survive has no meaning. Instead, the debate now shifts to how Modi can be defeated. He can be outplayed at his own game. An earlier version of this was the BJP defeat in Gujarat when it tried to defeat Ahmed Patel in his re-election to the Rajya Sabha. Karnataka is a repeat of that but on a much larger scale. It proves that Modi and Shah are not infallible in the art of political management. In my opinion, this is "the V P Singh moment" for the opposition. The only difference is that then it was the Congress which faced the onslaught, now it is the BJP's turn. In 1988, V P Singh's election in Allahabad gave the sense to the scattered opposition that united they could defeat the Congress. In those days, Rajiv Gandhi's government was supremely powerful. 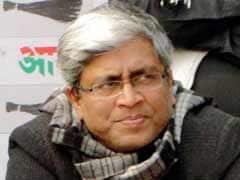 He had more than 400 MPs in the Lok Sabha. It was the impression of the invincibility of the Congress which forced two diametrically opposite political formations - the BJP led by Advani and the Left led by Jyoti Basu - to fight together and share the same platform to defeat the Congress. The Congress and JD(S) now know that if they are together in 2019, they will win the majority of the state's parliamentary seats. A few months ago, in Gorakhpur, Mayawati together with Akhilesh Yadav came out with similar impact. Today, the opposition is realising that if they can come together, Modi will not be the PM even if he emerges as the leader of the single largest party. In 1989, the Congress led by Rajiv Gandhi was the single largest party with 192 MPs but it could not stake claim as no other party was willing to support it. 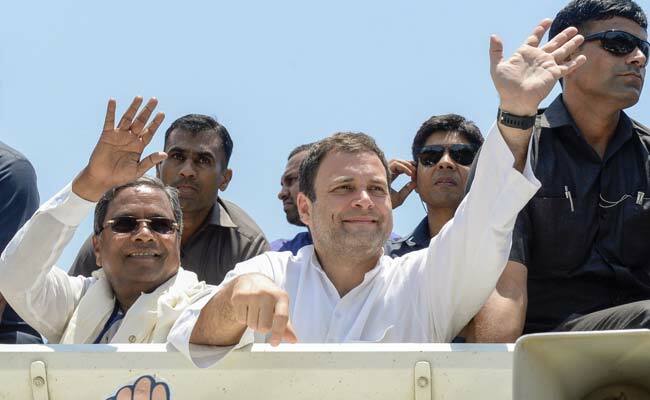 In Karnataka, the Congress and JD(S) now know that if they are together in 2019, they will win the majority of the state's parliamentary seats . In fact, the vote share of the Congress in Karnataka in this election is more than the BJP by 1.50% points and if one combines JD(S) votes, it crosses 50% of the vote share. The message is simple- together, they will sweep. This will be catastrophic for the BJP and Modi. Karnataka will remind Akhilesh Yadav and Mayawati that they must stick together to prevent Modi from a repeat of 2014 in Uttar Pradesh where he won 73 of a possible 80 seats and followed that last year by sweeping the state election. When it was thought that the Modi-Shah juggernaut was unstoppable, the opposite happened. The Karnataka election is to be followed by voting in Madhya Pradesh, Chhattisgarh and Rajasthan. In MP and Chhattisgarh, the BJP has been in power for 15 years. There is strong anti-incumbency against the government. In Rajasthan, Vasundhara Raje is leading an extremely unpopular government. Remember these three states are meant to vote just ahead of the national election. The theatre in Karnataka has given that psychological edge to Congress which it badly needed for the elections in these states. It was rightly propagated earlier that Congress does not have the killer instinct which Modi and Shah have displayed in abundance. After the Ahmed Patel and Karnataka episodes, this criticism stands blunted. They appear to be prepared for every eventuality. Since the day of counting in Karnataka, Congress was a step ahead of BJP. From petitioning the Supreme Court to bussing their legislators in and out of Hyderabad to offering alleged audio evidence of the BJP trying to buy their MLAs, the Congress has outwitted the BJP. . Perhaps it has learnt from its failure in Goa, Manipur and Meghalaya. This "new" Congress will pose a better challenge to the BJP. Modi and Shah better rethink the "Pappu" insults.